The first Patsy Ann was offered in 1929. She was sculpted by Bernard Lipfert and made of composition. Patsy Ann had open close eyes and came with either a wig or molded hair. In 1959 Patsy Ann was re-introduced as an all vinyl doll with rooted hair and she was dressed as the official Girl Scout Doll. Effanbee was purchased by Robert Tonner in 2002. 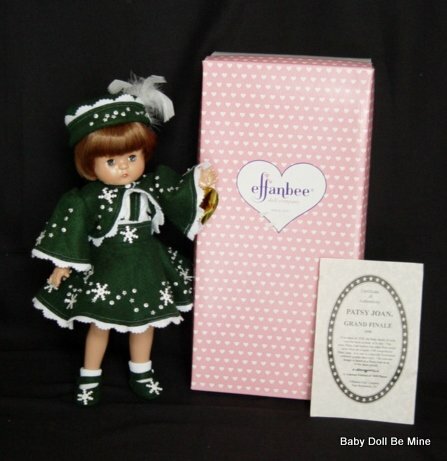 The 2003 collection was designed by Robert Tonner as limited editions of 1,000 dolls per design.